Your body produces diindolylmethane, or DIM, from substances naturally found in cruciferous vegetables. But this does not mean that DIM is always safe in supplemental form. Although it's not associated with serious side effects, it interacts with hormones and affects genes involved in cancer. The outcomes may be good or bad, depending on the amount of hormones and DIM in your body, reports a study in the July 2014 issue of "BMC Cancer." 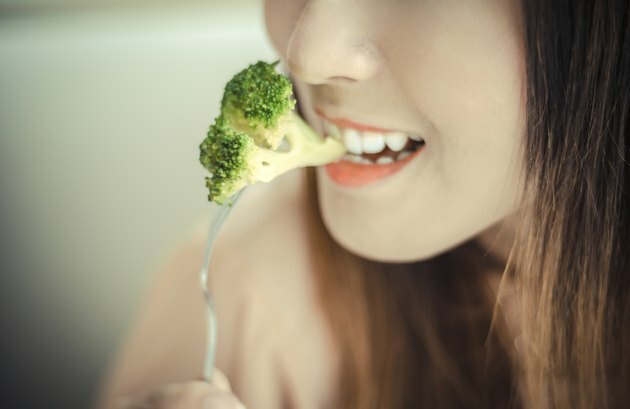 The acids in your stomach turn indole-3-carbinol, a phytochemical in cruciferous vegetables such as broccoli and cabbage, into DIM. Once it's absorbed into your system, DIM is an active ingredient that influences the activity of estrogen and, in some instances, regulates the activity of genes. In this role, it may help prevent or slow the growth of some types of hormone-sensitive cancers, including breast, cervical, uterine and prostate cancers, according to references cited by NYU Langone Medical Center. DIM is considered nontoxic, but more research is needed to fully determine its safety. When 353 women at risk for developing cervical cancer took DIM supplements, nearly 70 percent experienced some type of nonserious side effect, according to a study published in the "British Journal of Cancer" in November 2011. The most common side effect was darkening of the urine. About one-fourth of the women experienced an increase in bowel frequency, while 18 percent had headaches or gas. Less common side effects included nausea, diarrhea, vomiting and a skin rash. Nearly 13 percent of the women reported changes in their menstrual cycle when they took DIM. The interaction between DIM and estrogen is complex. Sometimes it may block the effect of estrogen, while it may enhance estrogen activity in other circumstances. It may also have an anti-testosterone impact. The bottom line is that DIM may cause hormonal disturbances, reports NYU Langone Medical Center. DIM may lead to positive -- or negative -- effects on various types of hormone-sensitive cancers. For example, DIM has an anti-estrogenic effect, which may reduce the risk of developing thyroid cancer, according to a study in "Thyroid" in March 2011. But researchers were surprised to find that DIM stimulated the growth of certain breast cancer cells, according to their report in "BMC Cancer" in July 2014. Safe supplemental dosages have not been established; in fact, dosages of DIM may prove tricky to determine. The study in "BMC Cancer" reported that different concentrations of DIM may lead to different biological outcomes. Until more is known about the safety of diindolylmethane, children and pregnant or nursing women should not take DIM supplements. If you have liver or kidney disease, or are at a higher risk for estrogen-sensitive cancers or hormone-related conditions, consult your physician before taking DIM. DIM may interact with medications, so avoid supplements if you take prescription medications.